The 60th annual Grammy Awards may have turned out to be aflop with Americans, but the red carpet arrivals and performance ensembles by some of the music industry’s biggest names were hardly boring. Though Grammy attendees were requested to wear white roses to raise awareness for sexual harassment after nearly 120 entertainment industry figures have been accused of sexual abuse, the best and worst fashions of the night took center stage ahead of any kind of political statement. She’s the gangsta Nancy Sinatra with a taste for dreamy fashion and in this Gucci gown with a matching halo of silver stars, Lana Del Rey had all eyes on her as she dominated the red carpet. Looking like a stardust Tinkerbell on her prom night is definitely in style this season. 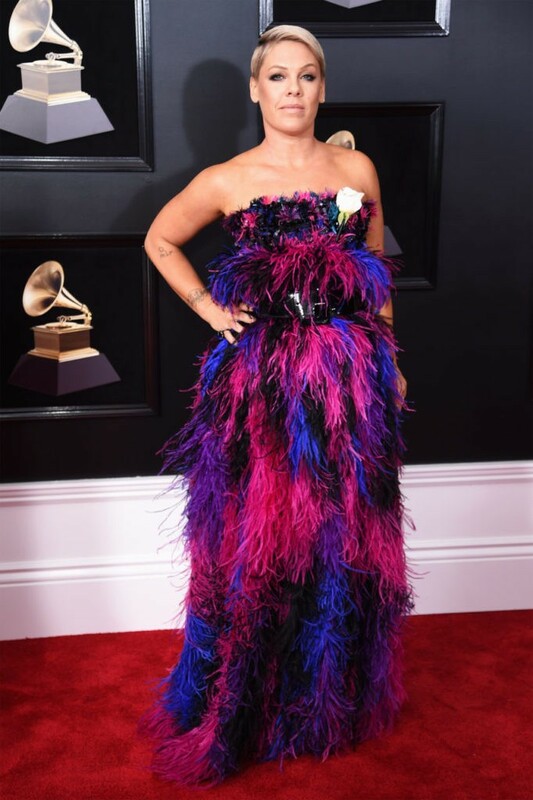 Pink arrived at the Grammys with her “gender-neutral” daughter (her decision, not ours) wearing an Armani Privé purple, pink, black, and blue feathered gown that resembled a character from Sesame Street. Then, sloppily fastened in the belt of her dress was a white rose, dangling as if she had just stuck it on in the car ride to the awards show. The only thing worse than virtue signaling is ugly virtue signaling. 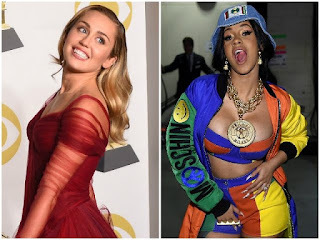 Time has flown by considering Miley Cyrus is now dressing like a lady, a far stretch from her old attire which regularly featured her wearing close-to-nothing just to get attention. While performing with Elton John at the Grammys, Miley Cyrus probably looked the best she’s ever looked in a gown fit for Sleeping Beauty. More class, less trash. If there is anyone who had a hit year, it’s female rapper Cardi B. 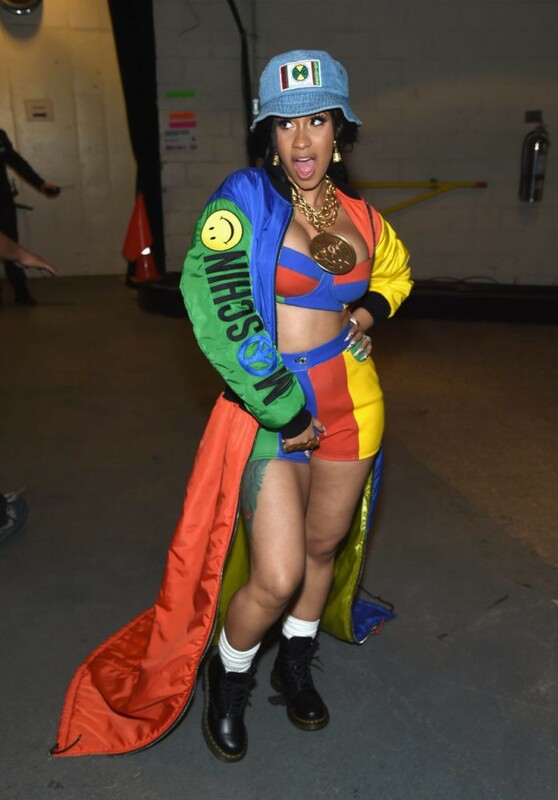 You practically can’t avoid her hit song “Bodak Yellow.” At the Grammys, onstage with Bruno Mars, Cardi B was clearly going for a 1990’s-inspired Salt-N-Pepper vibe, but she looked like a beach ball or even that rainbow tent that you got to play with in P.E. class when you were 7-years-old. She’s the fashion queen and even though she didn’t walk the red carpet, Rihanna still managed to make heads turn when she arrived onstage to present Kendrick Lamar with an award. Rihanna chose a dark, burgundy patent leather coat with a plunging, almost off-the-shoulder v-neck, as well as matching boots and gloves. Rihanna’s “The Matrix” meets high fashion was one of the best of the nights. Nothing is more boring than seeing a semi-model show up to an award show in a boring silver dress with a boring hairstyle and no real reason to even be there in the first place. Chrissy Teigen easily takes home the award this year for looking unimaginative as hell in this cliche, silver beaded gown that Kim Kardashian most likely wore when she was pregnant. And also, strappy stilettos and swollen feet don’t mix.